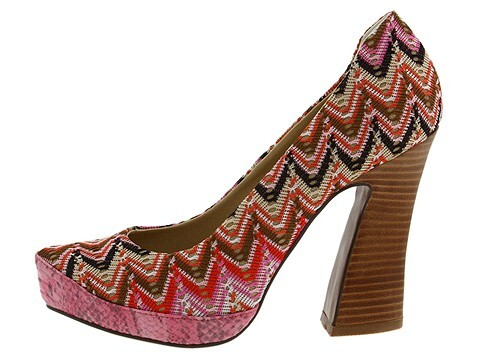 The Missoni Round Toe Pump is a perfect complement to your spring wardrobe. 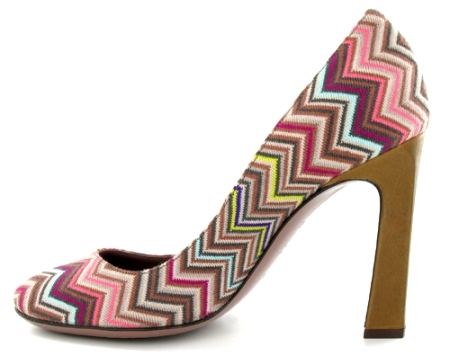 The colorful herringbone pattern offers you a fierce yet fun way to stand out, $225 $450. This Naughty Monkey T-Cup pump has the charming 60′s retro vibe with funky colors and chunky heel. Put on a cute A-line dress and you are ready to go! 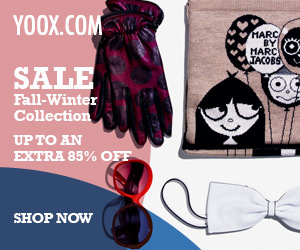 Now on sale for $70.06 $79.94. Love the pattern on pattern with the snakeskin-printed platform. I get a kick out of the name naughty monkey… lol.